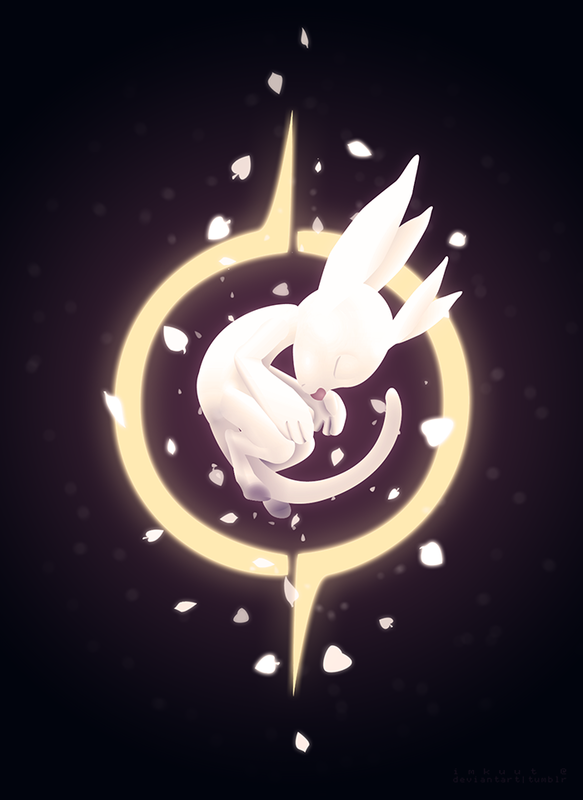 Our first artist is Imkuut of Deviant Art with a endearing image titled “Balance.” They note, “I played through Ori and the Blind Forest twice… I really enjoyed the game, especially the art, so naturally it inspired me to do something related to the game. I drew Ori completely in illustrator since I wanted to do some more vectors. Background and some adjustments I made with Photoshop.” It’s always a treat to hear the details of an artist’s process and what moves them to manifest an idea into reality. Switching gears to a more playful art style, here is a piece by Deviant Art artist TalinComill that is titled simply, “Ori and the Blind Forest.” The artist comments, “I bought the game two days ago and haven’t played more than a few hours but has already captured me with the stunning visuals and beautiful music. This is definitely a game I would recommend everyone!” The amount of expression and emotion achieved in this sweet little graphic is something to admire! Finally, let’s wander away from the usual path and look at some concept art inspired by Ori and the Blind Forest. 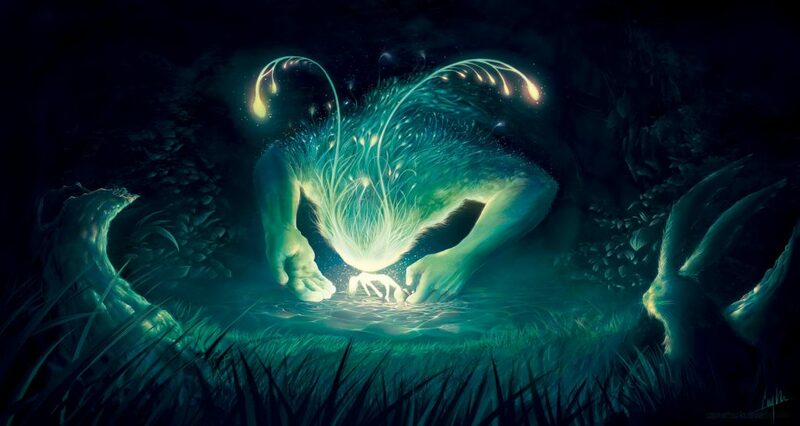 This magical work titled, “The Guardian” is created by Caym Artworks from artstation.com. The lighting and color choices are delicate and haunting; very easy to see how Ori could have inspired this piece. Nicely done! 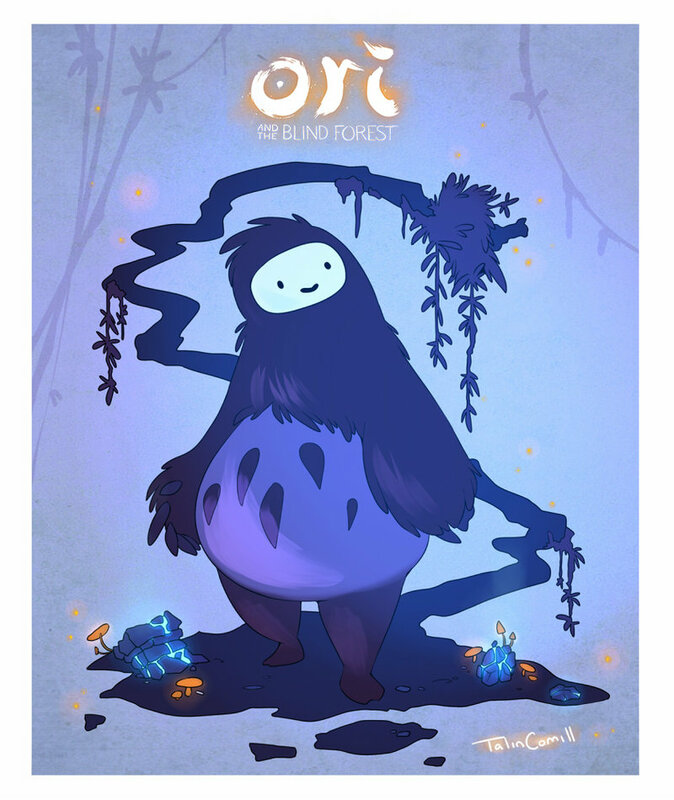 We really love seeing the creative work inspired by Ori! Your imagination is endless, awe-inspiring, and very much appreciated. 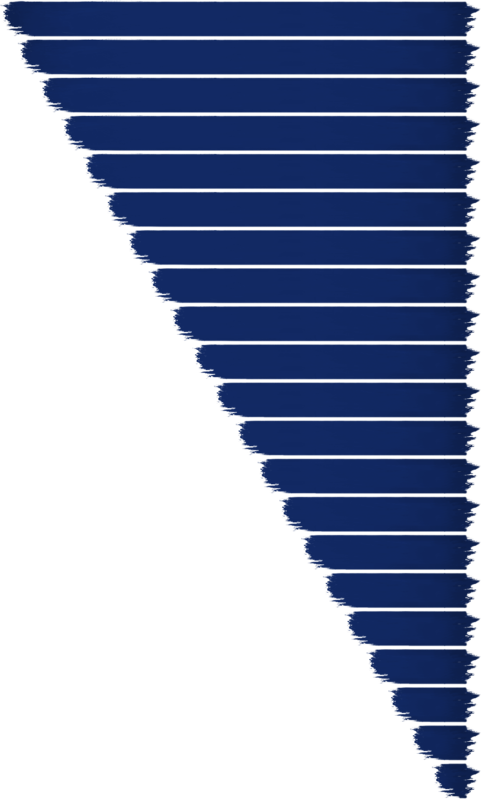 Do you have an image of your own that you would like to share? Let us know and you could be featured here!